Reading books is the best way to gain exposure over a particular subject and get an in-depth understanding. In this world of technology, it is important to know and understand the different technical aspects in the computer system. One of the most essential things to learn is that of computer programming language. There are different types of computer programming languages and of all those, a few of them turns out to be really helpful and stays at the top of the list. Python is a famous and most useful computer programming that is interactive and extensible in nature. Learning Python is important as it is a cross platform computer language that is used by giant corporations to do work in a quick and efficient manner. The book covers a lot of basic areas regarding Python programming. It is basically a book written for gaining a better insight about the programming at a beginner’s level and can be used to derive a strong foundation over the subject matter. This book is important because it covers important areas of Python such as Python 2.7. X and 3.X. The readers will be able to gain an in-depth understanding as it is quite simple as well. The book covers all the crucial areas regarding Python language and introduces one towards the much-needed techniques that has a huge scope, including simple string concentration to that of recursive decent parsers writing. The book has chapters that cover extensively on the subject generators and iteration techniques. It also carries a practical approach on several fronts. Packed with efficient and necessary chapters, the book is a must read for those who want to become good at Python programming language. The book is a complete guide on processing, cleaning, influencing and gathering of data in Python. It is made for the area of data intensive applications and provides an excellent introduction on data analysis issues. It is the best source for understanding the various tools. The book is easy to read and understand and provides exceptional solutions for effectively analyzing the data. The book is apt for professional programmers, researchers and those who are already well-versed with the basics. 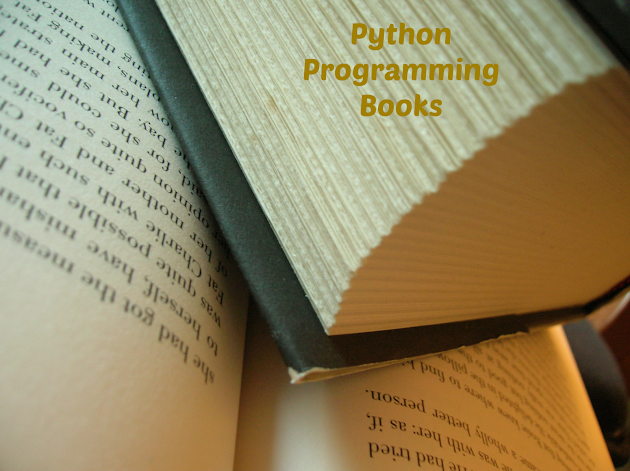 The book is an exceptional reference when it comes to gaining the most out of Python language. The book provides a clear cut understanding about the background of Python and what is happening behind the programming language. It provides a detailed overview of the language and helps in gaining a practical knowledge over the subject. The book includes the omitted sections of Python 2 and this book is the one that programmers need to read first. This is a perfect introduction to the world of computer science. It offers foundational concepts of computer science in a form that is clear and easy to understand. It is about theory and its practical application. As it provides for a strong foundation on the subject, it is apt to be read by beginners and new python programmers. It also touches upon essential subjects like Structure and Introduction of Computer programs. Popular for its clarity in explaining the various concepts related to Python programming, the book has already gained huge popularity in the market. It acts as an easy guide on Python programming language. It is a perfect source when it comes to areas like official library and language references. This book is to be read by those who already have their fundamentals on Python strong. It deals with many advanced and complicated areas regarding the subject. It explains the core of python language clearly and includes interpretations of various python programmers. If one wants to start coding, then this particular book will be the perfect one to go for. The book is a great guide on Python language. It is an introductory level book on Python programming language and provides for a clear cut understanding about the various areas of the language like tools and concepts. It is the best book to read when it comes to security concepts and deals with forensics, tool integration for complicated protocols like SMB. The book is apt to be used by those programmers who already have a good understanding over the Python language. Python is one of the famous programming languages used by major organizations and corporations. It is readable and supports multiple programming facilities, provides an exceptional platform for any type of relevant tasks, and last but not the least, allows a better developmental knowledge when it comes to programming language and tools. Yes I am satisfying with your glorious thought but I also want to include a thought about the topic. With book no doubt you can improve your knowledge but there is also need of practical knowledge. Thanks for nice thought !! I have little bit confusion with the languages Java is initial stage of language or C, C++. If I will learn C, C++ then can I make or website or not ? Hi. Thanks for the article. Are there good online resources available for Python?